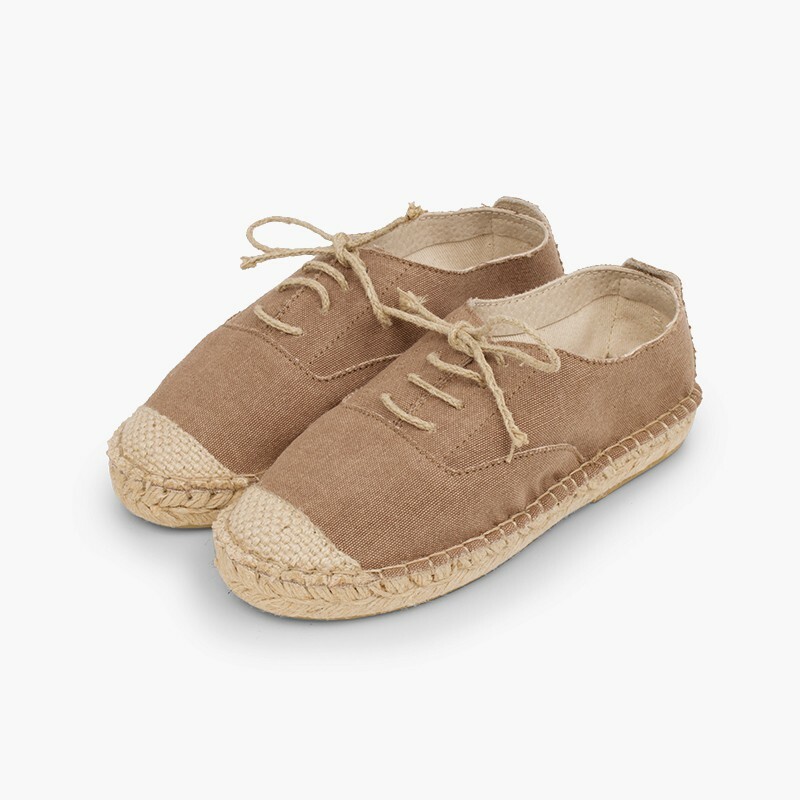 Have you already checked out these cool bluchers with esparto shoelaces and toecap? 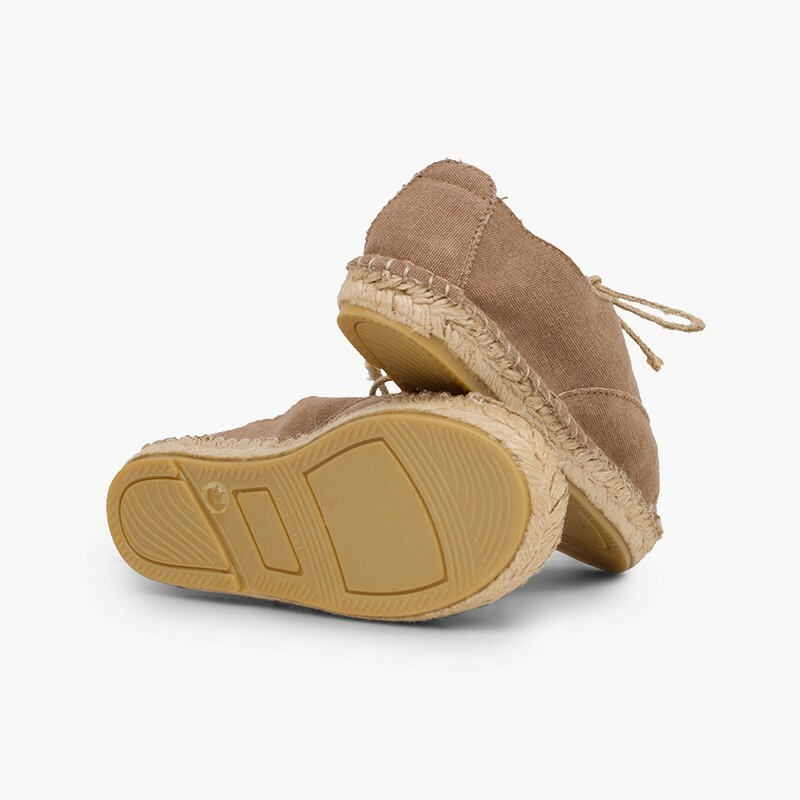 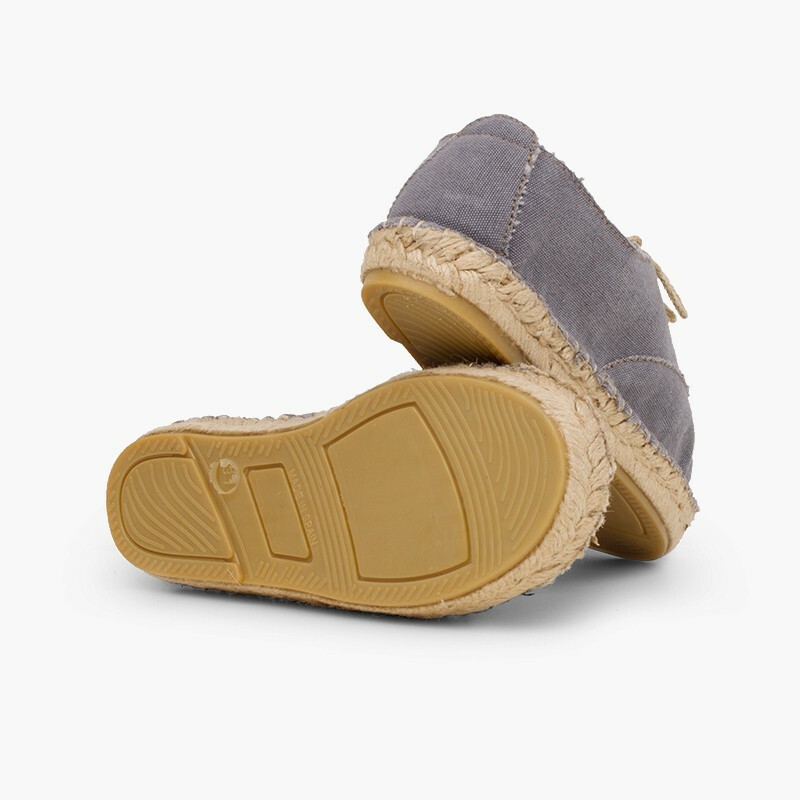 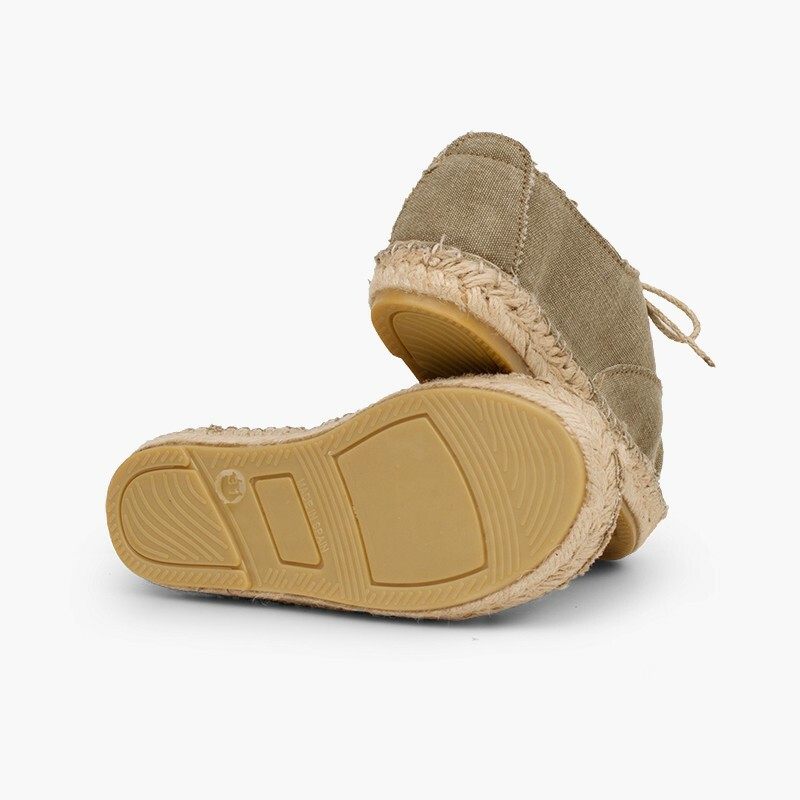 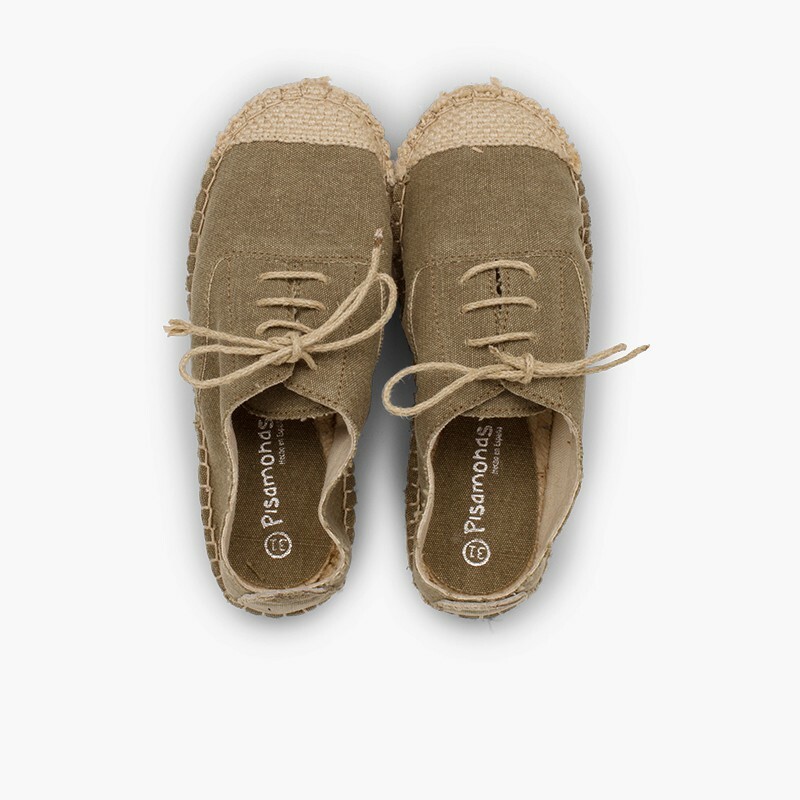 They have a really cool and original design, with plenty of jute details and what’s more, they come with canvas upper that has a slightly worn-out look, which apart from being really trendy also helps to keep the feet fresh! 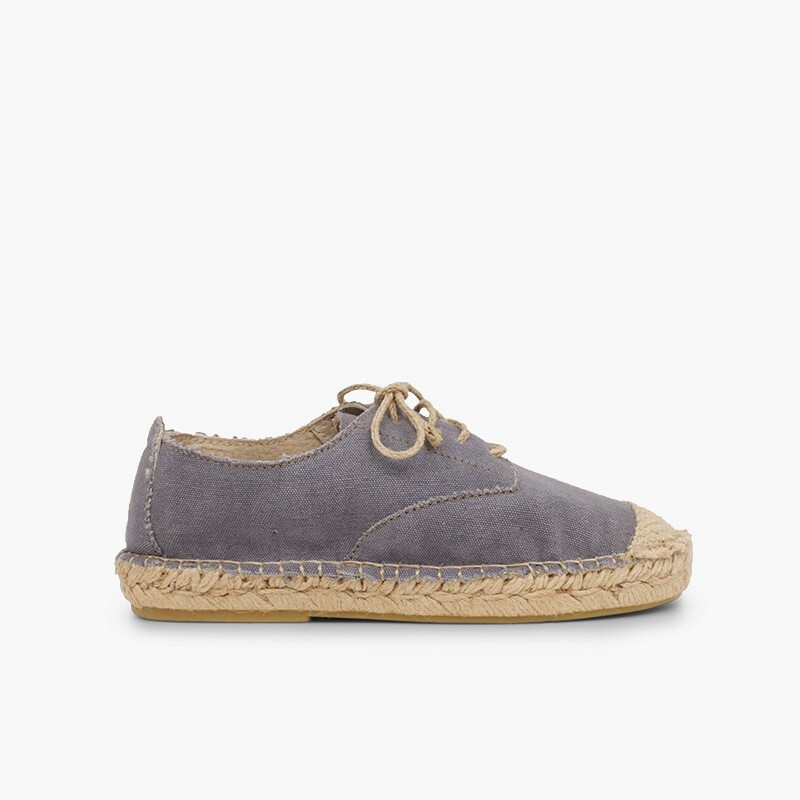 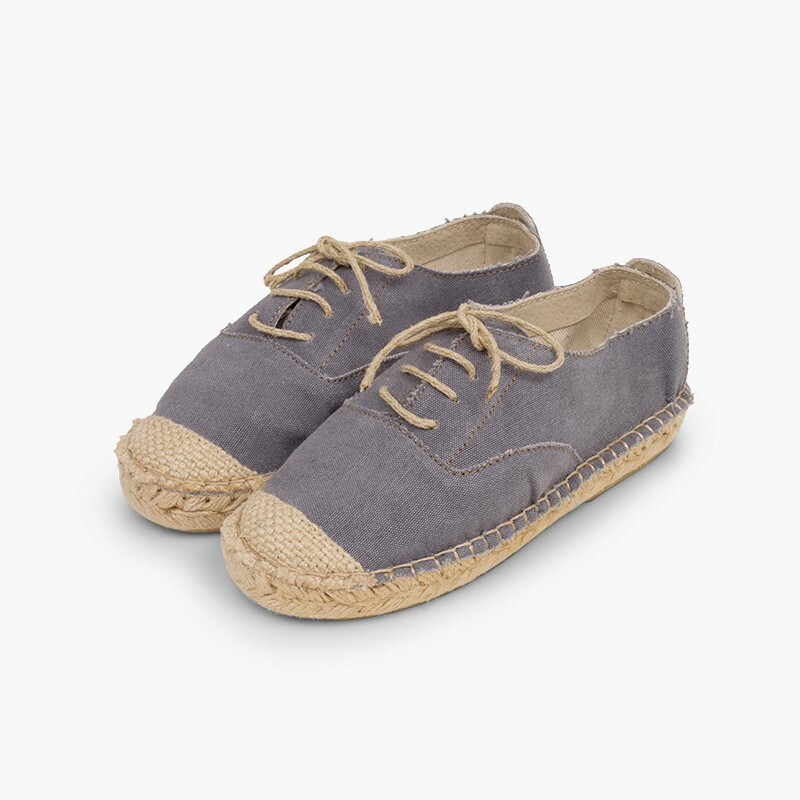 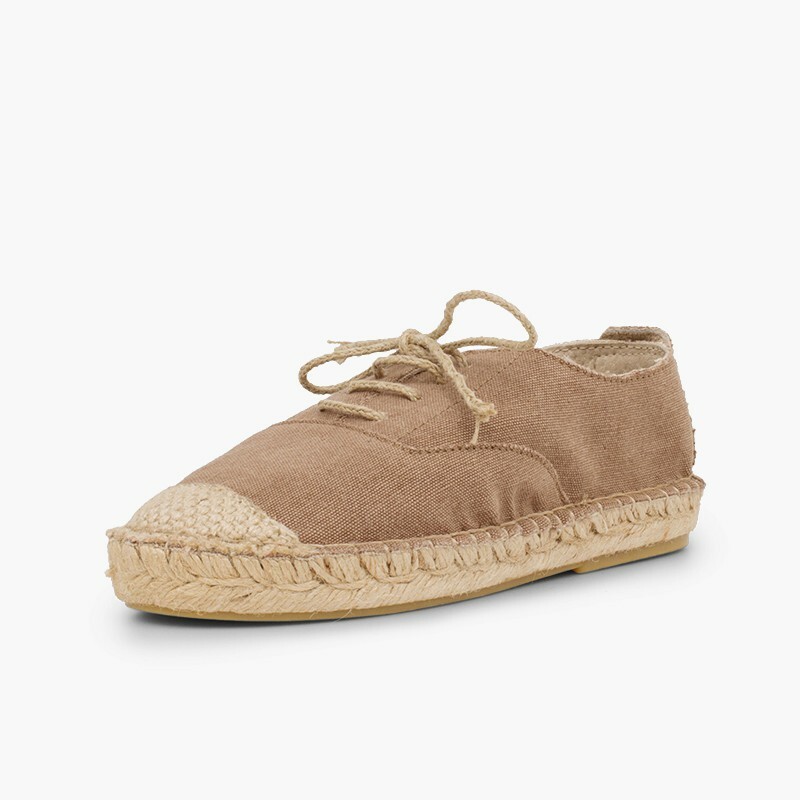 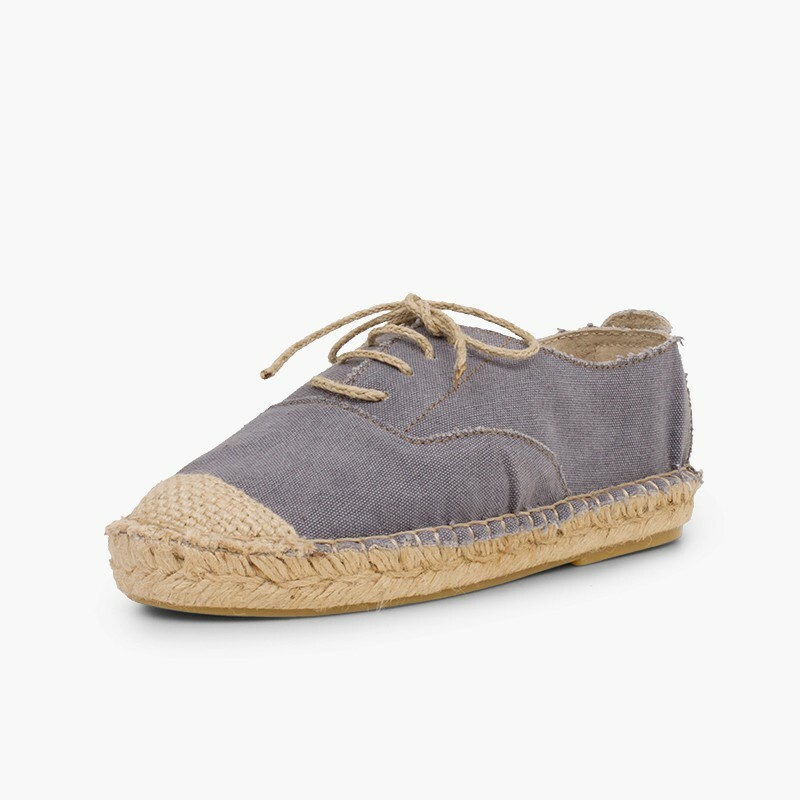 These espadrille bluchers with jute shoelaces and toecap are available in sizes 2C up to 9A, so you can buy them for the whole family! 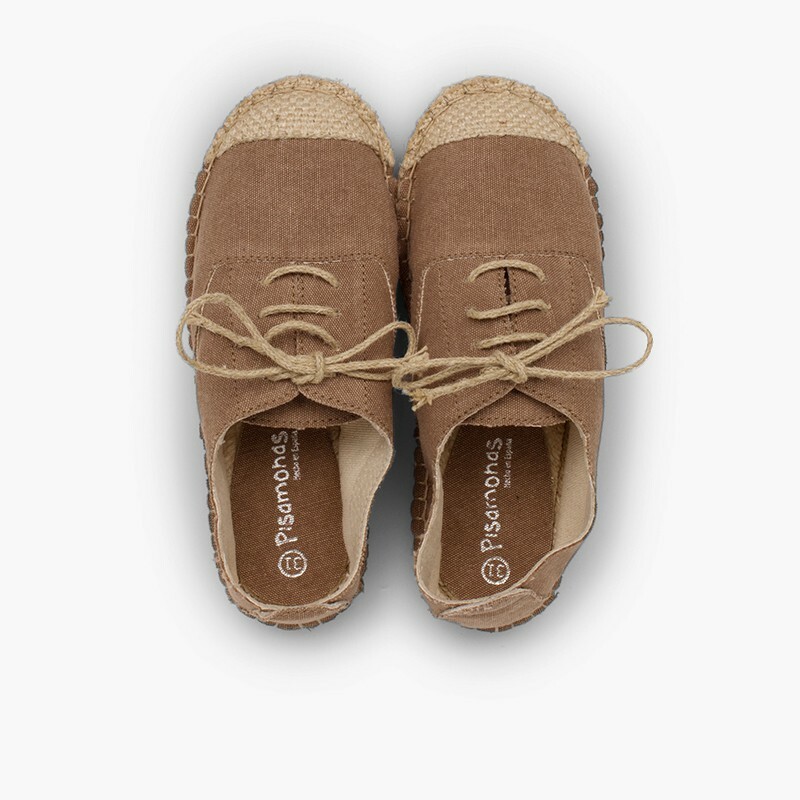 Esparto bluchers for boys, girls and women, because everyone wants a pair, the big ones and the little ones! They are perfect for spring, summer and in-between seasons. 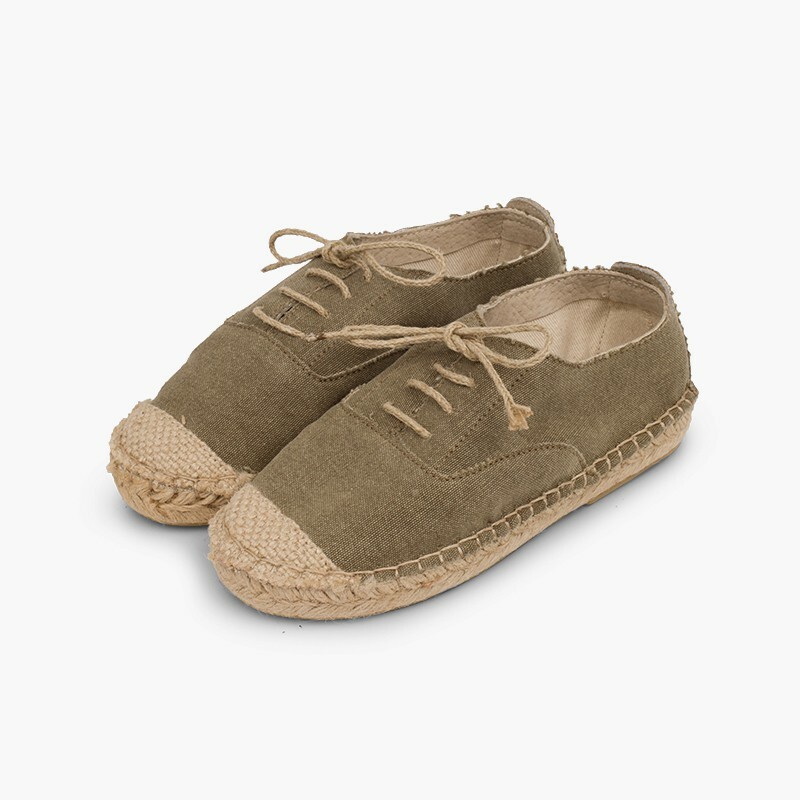 Their modern design with jute and canvas gives them a stylish, handicraft look, making them perfect for both casual everyday outfits as well as occasions requiring a dressy pair of shoes. 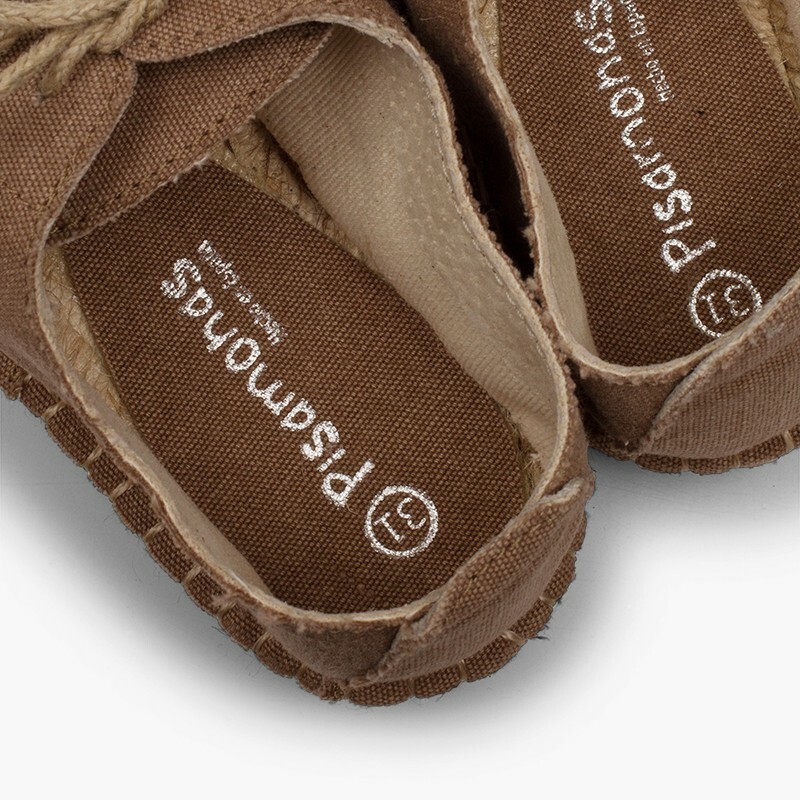 You’ll love them once you get your hands on them, go check them out at any of our Pisamonas stores or buy them online, and if you need to exchange them, we will pick them up from your home and take care of everything, so you can just enjoy! 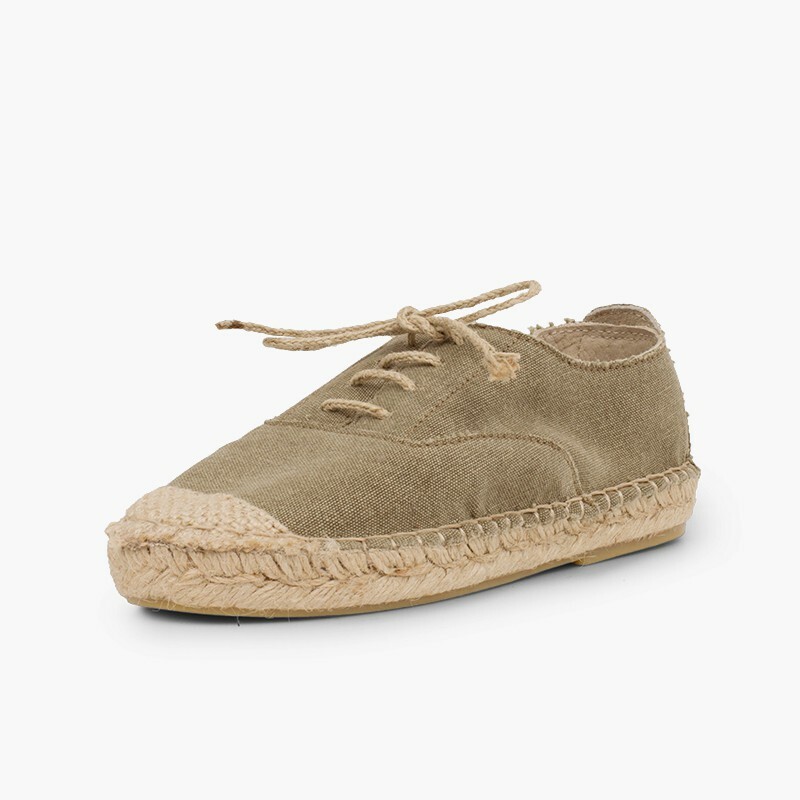 The toecap, sole and even the shoelaces! 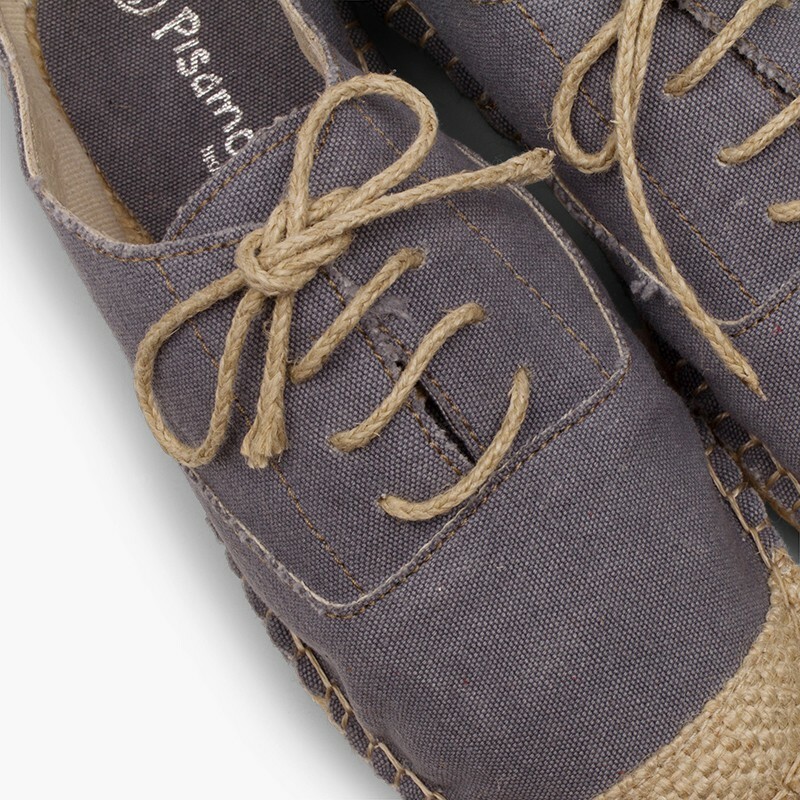 Let the coolest summer material take you over! Trendsetter! 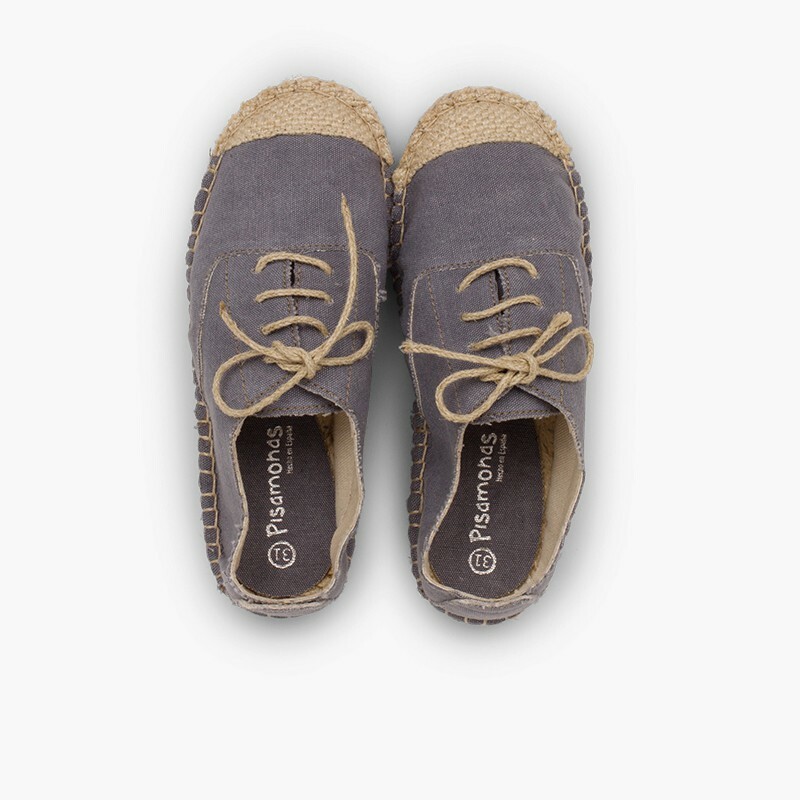 For a stylish vintage effect, in grey, khaki or brown! 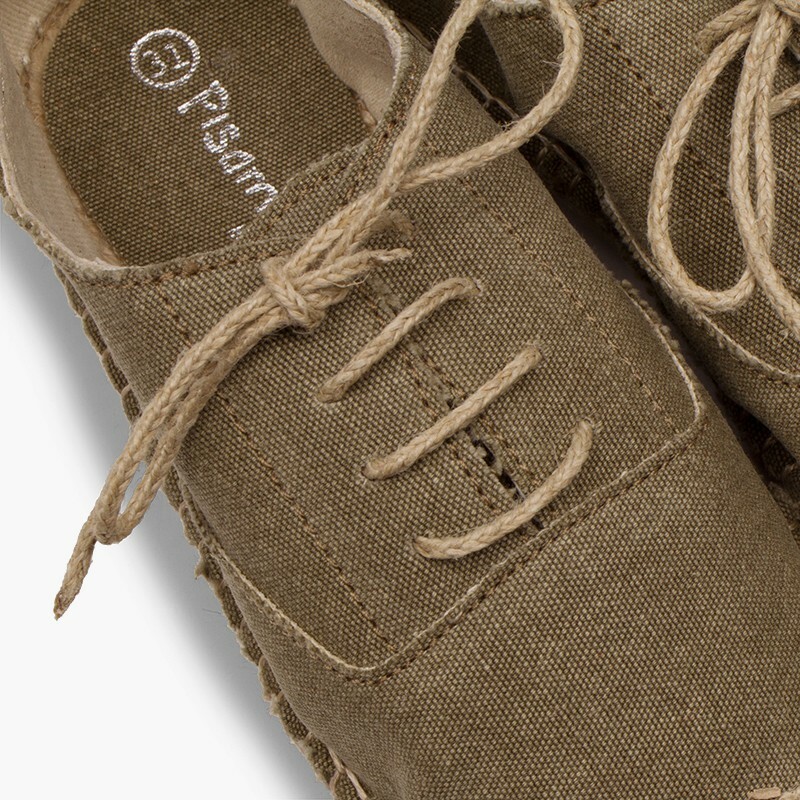 A comfy and fresh textile the look of which will captivate you.